With the summer heat still refusing to relent here in Orlando, I thought it appropriate to take a closer look at my favorite water park, Disney's Typhoon Lagoon. Every Disney attraction, show or ride has a great backstory and Typhoon Lagoon is no exception. It's absolutely evident from the moment you arrive, and the story continues seamlessly throughout your day. Like a surfside playground left behind by a “great storm” for modern-day Swiss Family Robinsons, Typhoon Lagoon — with its breaking waves, saltwater snorkeling pool and gushing water surges — ushers in a new generation of water adventures for Walt Disney World guests. Humunga Kowabunga’s three water slides which drop guests down the mountain and through rocky caverns at speeds up to 30 mph. 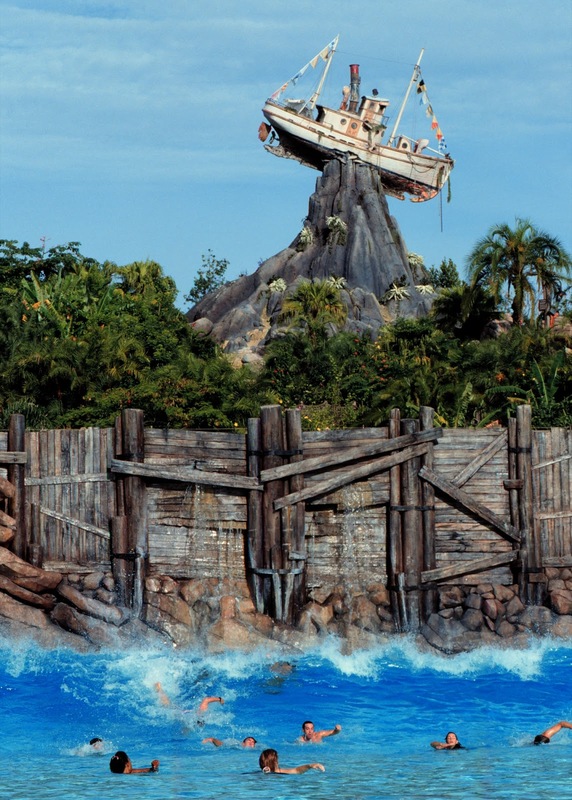 Storm Slides, consisting of three curving body slides called Rudder Buster, Stern Burner and Jib Jammer, take guests past assorted nautical flotsam before depositing them into a pool at the bottom of the mountain. Three rafting adventures — Mayday Falls provides guests with a white-water experience; Keelhaul Falls boasts a triple vortex that literally adds new “twists” to riding the rapids; Gangplank Falls enables families to ride together on three- to five-passenger rafts. Circling the lagoon is Castaway Creek, a meandering, 2,100-foot stream. Guests of all ages hop onto inner tubes for a relaxing tour that takes them through a misty rain forest and a hidden grotto, providing a spectacular view of Typhoon Lagoon and its many activities. THIS, is where you will find me most of the time!